Ideally situated in the Sierra-Nevada foothills, the town of Auburn attracts visitors throughout the year to enjoy its charming and historic old town, arts events, and unique shops and restaurants. Surrounded by stunning highlands, Auburn is the perfect base for recreation in any season, with miles of hiking and biking trails, world-class skiing, and deep blue lakes all just minutes away. Many luxury homes for sale Auburn CA also feature extensive acreage and pasture land, making them ideal for horse owners. Like the Granite Bay homes for sale and fine homes in other nearby communities, these properties offer a high level of design and quality construction. Homes are designed to take maximum advantage of the tremendous views and beauty of the surrounding countryside. Buyers are attracted to the luxury homes for sale Auburn CA by the idyllic setting and great value that they offer. They are impressed by the cultural offerings of local communities, which have attracted many artists, performers, and craftsmen. Area residents can top off an active day in the hills with a delightful wine tasting or world-class musical performance, all within minutes of home. This is true of Nevada City real estate and homes throughout Placer and Nevada counties as well; the forests and streams are a lovely backdrop for lively and vibrant communities. If you’re interested in knowing more about this area, contact me today. 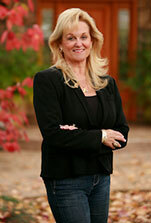 I can fill you in on the luxury homes for sale Auburn CA and the other charming area towns. I specialize in California’s Gold Country, and my long experience in the area is a valuable asset to my clients. I look forward to discussing your goals and needs, and to making them a reality.